"Jane is an amazing person to work with. She spent several weekends helping my husband and to tidy our home with the KonMari method. Jane moves swiftly and provides excellent coaching that allows you to feel confident when you KonMari your things. 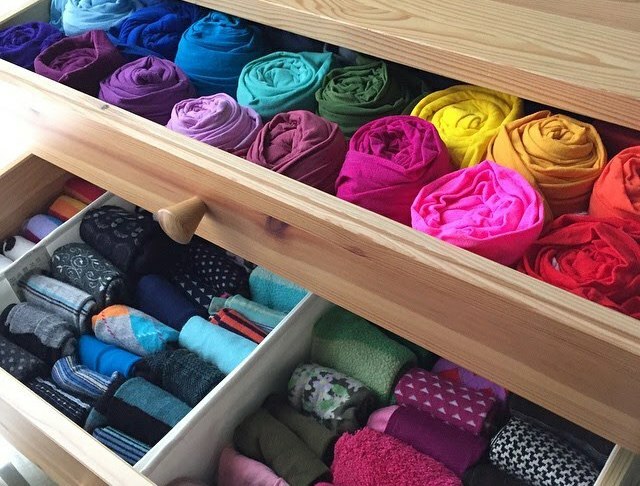 I have been keeping my place KonMari solid ever since…Strongly recommend her!" "The clutter in my life had been paralyzing and oppressive. I never thought that I would be able to live a clutter-free life. Jane Marie is one of a kind! She has helped me to transform spaces in my home to feel calm and inviting. She is truly a professional who understands the KonMari art of tidying and decluttering. I highly recommend Jane Marie as she is fully committed to this art and has changed my life." 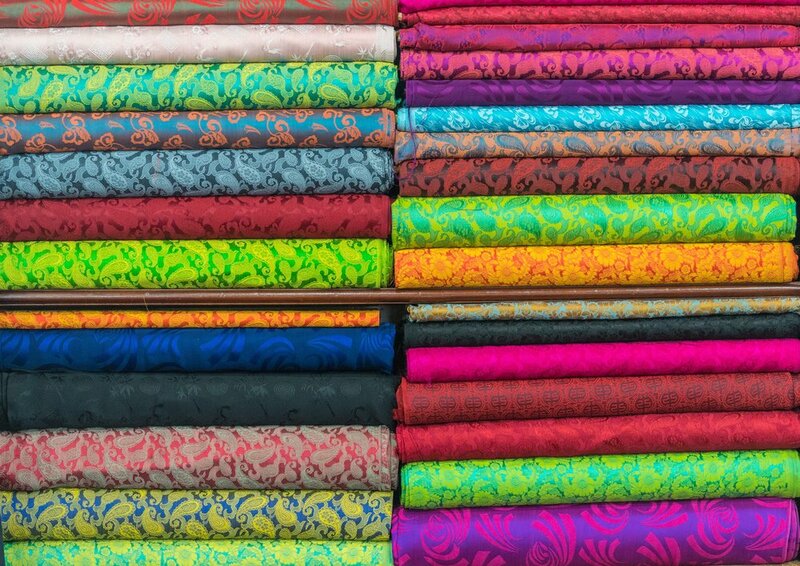 "If you want your drawers to look as great as mine, invite Jane to have your joy sparked!" 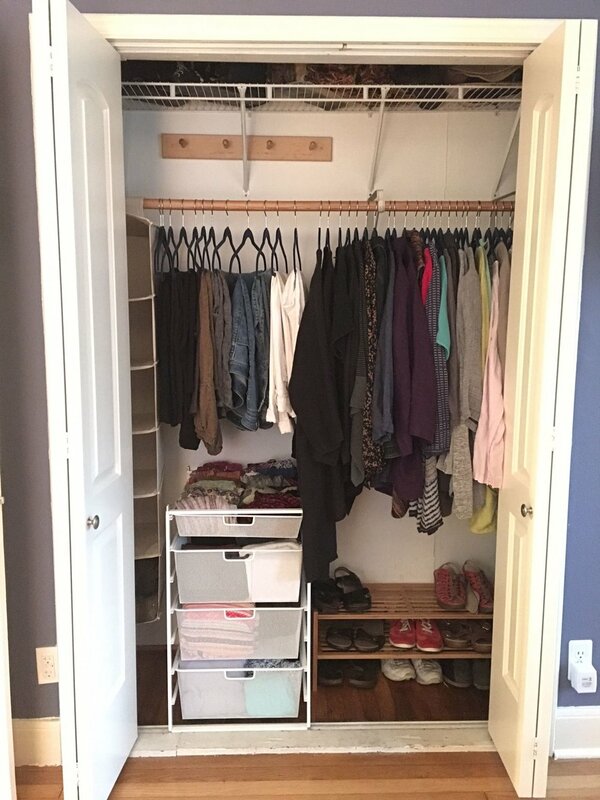 "Jane came and helped my wife and me organize our bedroom closet. It's not huge, but it's pretty big, and Jane showed us both how to hang some clothes, fold others, and keep things organized! I've folded clothes in that specific way before. Jane taught us both how to do it so we can easily fold clothes and put them away in the closet in the same way every time. Jane is a great teacher, and I'm really happy that she taught this guy a great way to stay organized!" "I am so thankful for your constant motivation to have my closet represent my current self." "I work out of my home quite a bit and in order for me to be productive, I need my space to be organized and tidy. Jane helped me clean out areas of my main living space so I could feel like I could have more head space. We organized my desk, main living area and I felt so much lighter. She's kind and helped me get right to the heart of the matter while being super productive and getting through the clutter. I can't wait to work with her again for the next phase of decluttering!" "Jane’s efforts at our home were remarkable and effective. Not to mention you get to hang out with Jane!"